Submitted by mabeldog on Mon, 12/28/2015 - 15:27. Cleveland Housing Network is the NEW Cleveland Works. With the same lofty piety about helping the poor, the same sanctimonious platitudes incorporated into their "plans", the same kind of white liberals (in this case Rob Curry and Kathy Urban Montebank) making six figure salaries at the top of the heap, poverty pimping the poor by scamming the taxpayers with a variety of "social Programs" for minorities to score tax dollar$$$: federal government grants, trolling for charitable handouts, LIHTC etc. and the same claims to "improve"... whatever the noble sounding cause of the day...employment, education,drug addiction, financial literacy, and in this case "affordable"housing. The same wild self-congratulatory applause from the usual suspects...local minions of the Democrat Party power structure and the media. And the exact same lack of accountability until one day just like with Cleveland Works, the bubble bursts and the very ugly rotting carcass underneath is exposed. 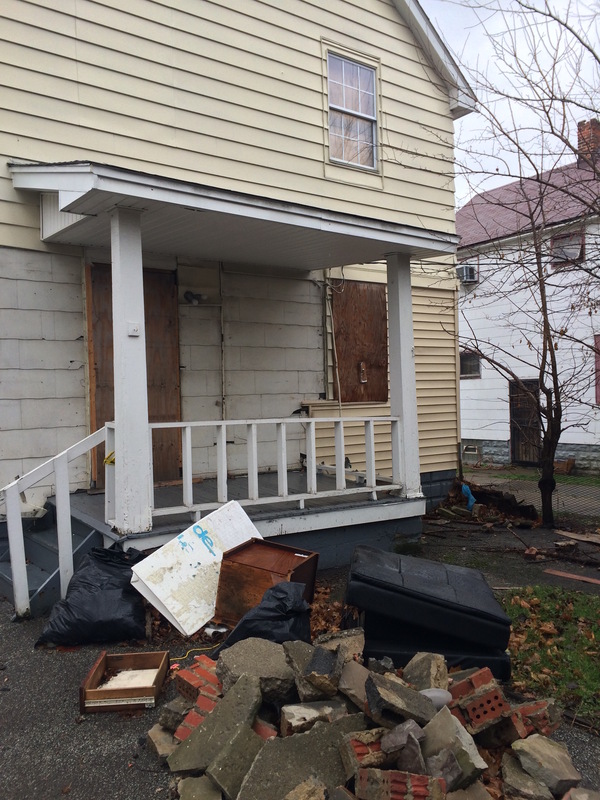 Like the "affordable housing" at 13317 Horner Avenue that CHN is trying to unload. And let's be honest. Rob and Kathy don't have a clue where Horner Avenue even is! In the desolate Union Miles neighborhood, this "home" is all set for a lucky new owner! Cleveland Housing Network owns this house along with approximately 3200 others on the East Side of Cleveland. The only visible remnant of the extensive rehab done in June of 1997 (with your tax dollar$) on this now dangerously toxic slum with carcinogenic exposed asbestos siding, is one window staring bleakly from the second story onto the mountain of trash in the back yard. Why hasn't the Cleveland Department of Building and Housing cited this abomination? It's 4 Sale. 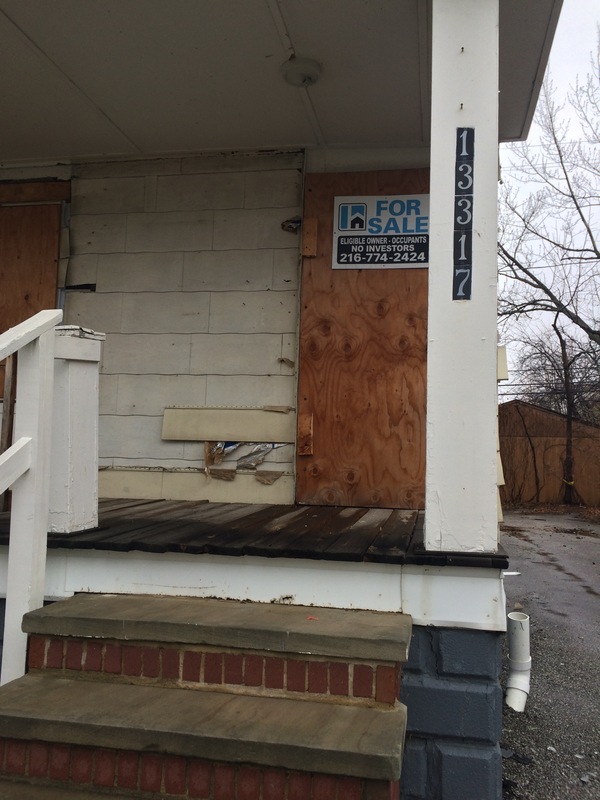 Cleveland Housing Network is willing to sacrifice this gem for a mere $4,900. 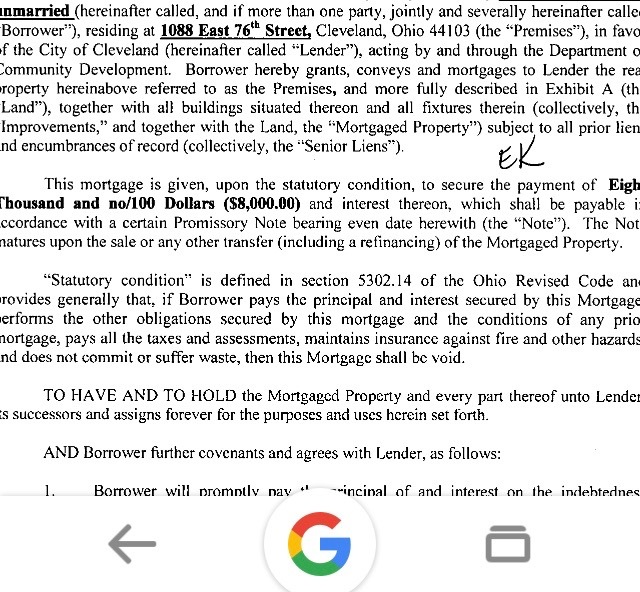 Well and also the lucky new owner has to take over the $8,000 loan from the city of Cleveland. And there are a few other conditions, minor things like MAINTAINING HOUSING CODE STANDARDS. Like the asbestos siding CHN has allowed to be exposed. No seriously, CHN insists on standards. From their recent 20 page brightly colored 2013-2015 "Strategic Plan". 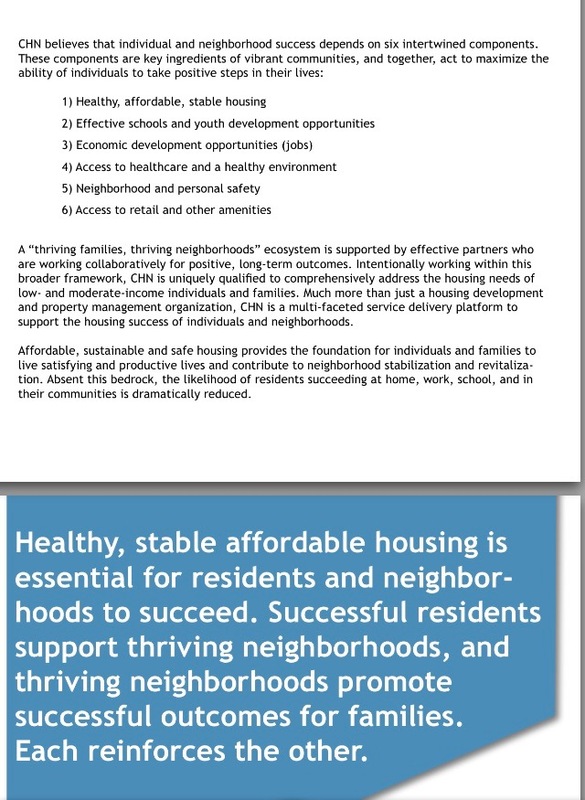 Goal 4: "CHN will be a fully engaged partner in comprehensive neighborhood transformation strategies." mmmmhmmm. So who exactly is in their target market for this "home" that in the 1988 transferred from one real person to another for $24,000. And now after 18 years of CHN "comprehensive neighborhood transformation strategies", and $40,000 in rehab costs paid for by the taxpayer THIS is what is left. I'm missing the part in their "2013-2015 Strategic Plan" that says it is A OK for CHN to get some poor gullible unsuspecting financially struggling African American Cleveland resident to pay THIRTEEN THOUSAND DOLLARS for THIS? Even the squatting crackheads couldn't take it anymore and moved down the street. I have an idea! Let's make Rob and Kathy move in for a month and earn those bloated paychecks. And now let's take a look at the home at 1088 E. 76th formerly owned by CHN, in the exciting totally new St. Clair Superior neighborhood. Unlike 13317 Horner, CHN basically gave this one away. After trying to evict the current "owner" . This house was "sold" by CHN on April 25, 2013 for $19,750. And really?? No legitimate financial institution is going to lend an UNemployed borrower with a recent eviction ANY money. So we the taxpayers through the largess of HUD just went ahead and gave her the house. 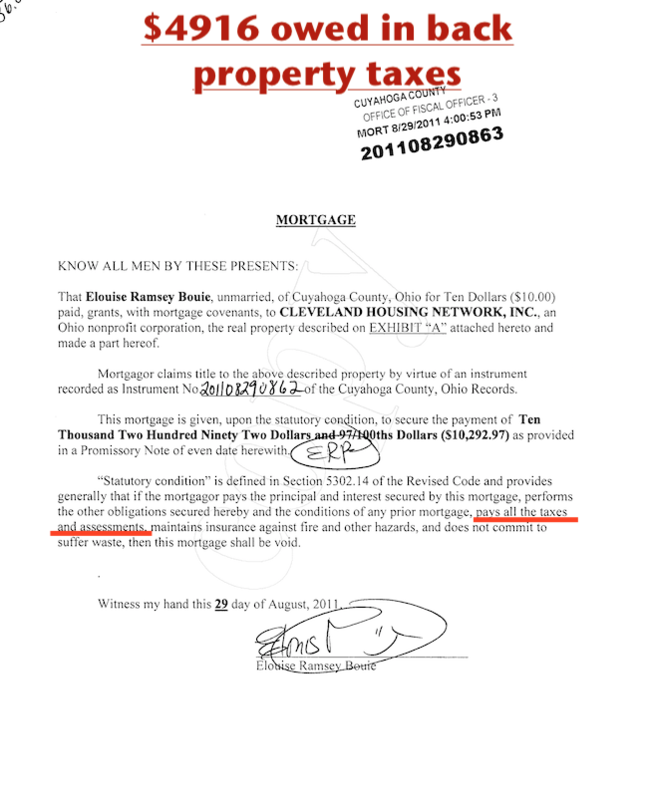 In order for the property to transfer, the new "owner" received 2 "mortgages". One from CHN for $13,401.33 (!) and one from the city of Cleveland Department of Community Development for $8,000. ALL HUD (taxpayer) $$$ by the way. For a total of $21,401.33, $1651.33 MORE than the purchase price. Just like the good old B lenders that precipitated the housing crash, loaning a lil bit extra for....a new car, a cruise....whatever. BOTH "mortgage loans" are conditional on the property taxes being up to date. Since there are no repayment specifications with EITHER "mortgage", clearly the "lenders" are not expecting repayment. It's not their money so what do they care...it's OURS. But the property taxes...come on that's not a lot to ask is it? Apparently it is. The new "owner" hasn't paid a dime since she moved in. She currently owes $1358.81 in back taxes including a late penalty of $112.94 dating back to 2013 when she took "ownership". And there are no repercussions of course because per Goal 3 of the CHN "Plan": "new strategies will be in place to help families achieve financial stability and economic security" by just giving them houses and not making them pay property taxes. Submitted by lmcshane on Mon, 12/28/2015 - 17:33. I have been busy - trying to save my neighborhood from the machinations of the Cleveland Housing Network. Thank you Mabeldog!! See post above - shadowy transfer of old YMCA on West 25th- part of underworld of CDCs and council reps who get their marching orders from the bagman. If after that date you are unable to locate this information, please feel free to email me or call me and I will provide you with the information directly. It would be helpful if you could provide a brief description of the project in your letter, just as you did in your email. You may also send a copy to me at this email address. I serve as the Operations Manager for the Office of Planning, Preservation and Development and oversee the staff who will be reviewing those applications. While you can send that letter at any time, we will not be able to match that to an application until we receive them on Feb. 18. Any correspondence received on or before April 15, 2016 will be taken into consideration before we make our final decisions. Submitted by lmcshane on Sun, 01/03/2016 - 21:38. Submitted by mabeldog on Fri, 08/25/2017 - 09:40. 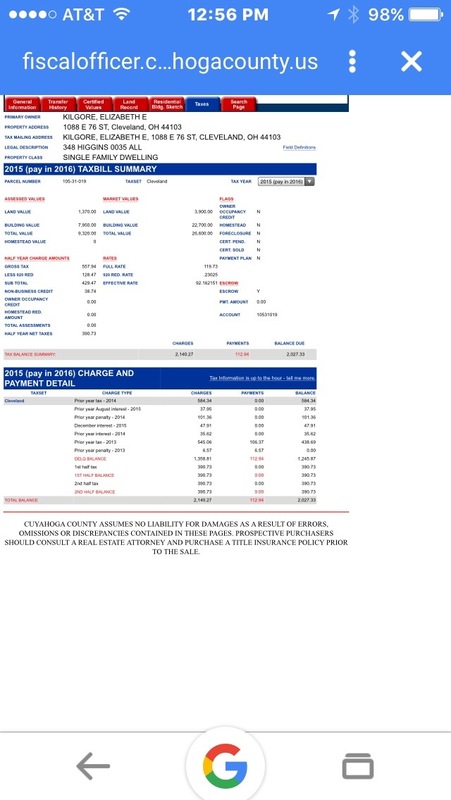 So since the World Famous Cleveland Housing Network "sold" 1088 E 76th to Elizabeth Kilgore in April 2013 after trying to evict her, she has paid $195 in property taxes. The ONLY condition of her "mortgages", NOT from banksters of course but from the always benevolent Community Development Department and ... 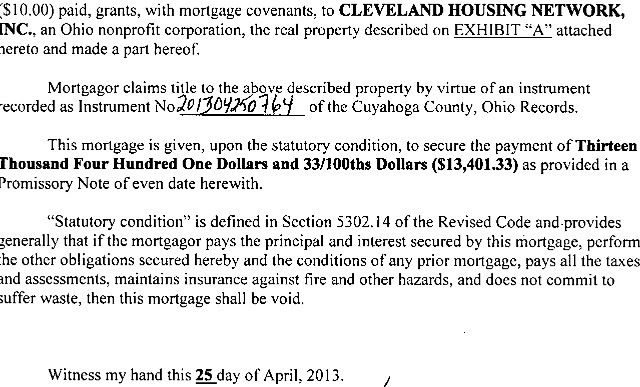 THE CLEVELAND HOUSING NETWORK, with no repayment schedules attached to the "mortgages" is that she stay current on her property taxes. So does anyone think if you or I paid less than .5% in property taxes that would count as current. Yeah me neither. I wonder how many new "owners" of the thousands of houses that CHN has "sold" ARE current on their property taxes. Submitted by mabeldog on Wed, 01/30/2019 - 17:03. On February 2, 2015 CHN wrote off (courtesy of the taxpayer) dozens of mortgages for houses they had "sold" A randomly chosen selection of 6 of the homes reveals a WHOPPING $18,292 (UPDATE now owes $21,809) in back property taxes. on just 6 homes! A strict requirement of these mortgage giveaways demands that property taxes be kept up to date. It is a clear violation of the terms by which CHN scores these federal funds from HUD. Submitted by mabeldog on Wed, 01/30/2019 - 20:34. From the February 3, 2014 CHN Incredible Mortgage Write Off Day, this lucky 7, as of today owe $10,849 (now $17,533)) in back property taxes. They have had 4 1/2 years since their "mortgage" "payments" were eliminated. And STILL they haven't bothered to catch up on their property taxes. And really why should they? There are no consequences. $17,273 IN BACK TAXES ON JUST 6 HOMES GIVEN FOR FREE THROUGH HUD DOLLARS TO THESE "OWNERS". I GUESS THAT'S WHAT ROB CURRY DEPOSED DICTATOR OF CHN CRIME PARTNERS WAS TALKING ABOUT WHEN HE SAID CHN CRIME PARTNERS IS IN GOOD SHAPE. House "sold" by CHN NOW owes $23,790 in back property taxes. Submitted by mabeldog on Wed, 01/30/2019 - 20:17. Todays lucky property tax scofflaws, who "bought" their homes from CHN include someone who actually OWES $16,198 in back taxes. OK so a few thousand dollars is for the water and sewer. WTF?? IS THE WATER STILL ON?? SERIOUSLY. COME ON! I thought Cleveland Housing Network had classes for home "owners" about taking responsibility, you know for bills and stuff. Because Cleveland Housing Network is ALL ABOUT taking responsibility. And that there would be consequences. Like the water would be cut off. Etc. Guess they need to get some new instructors. Submitted by mabeldog on Wed, 01/30/2019 - 20:30. Today's randomly selected LUCKY Fiscal Office Faves, thanks to what certainly appears to be some kind of secret arrangement for those who "buy" homes from CHN owe $16,669 NOW OWES $24,038 in back property taxes. Real mortgage lenders, you know BANKSTERS, MAKE you pay property taxes with your MONTHLY MORTGAGE PAYMENT. Pretend mortgages, on the other hand, are for people with credit scores of under 400, and are handed out like Halloween candy by CHN CRIME PARTNERS from the $20 MILLION in Community Development Block Grant Funds "awarded" by HUD EVERY YEAR, DON'T have to be repaid. 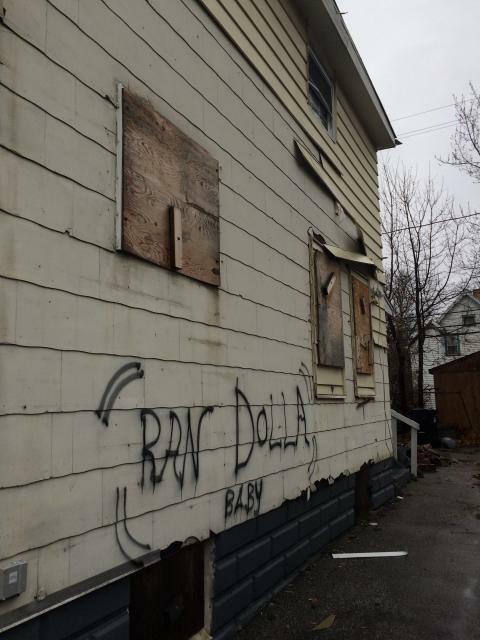 Because it would be mean and unfair to these struggling Clevelanders and in reality NO ONE WITH OPTIONS would pay Fity Cent for most of these CHN properties located in some of the most deplorable, dangerous, run-down neighborhoods in Cleveland. And the World Famous Cleveland Housing Network has done ABSOLUTELY NOTHING to improve these neighborhoods over the last 20 years, in spite of their relentless and dedicated propaganda machine, propped up by cleveland.com and other local "media". Most neighborhoods are actually now much much worse, since CHN started profiteering from the poor with free foreclosed HUD houses and a flood of federal funds to rehab them, during the halcyon days of Andrew Cuomo's reign as the most corrupt HUD czar ever. Those funds have basically dried up, and eviction court is now full of CHN tenants unable to pay their rent. So special deals MUST be offered to get the properties off CHN's roster. Since the "mortgages" have no monthly payments, the property tax bill that arrives in the mail twice yearly just falls off the countertop into the trash. The "owners" don't pay property taxes and THERE ARE NO CONSEQUENCES. Why don't YOU try that and see what happens to you. 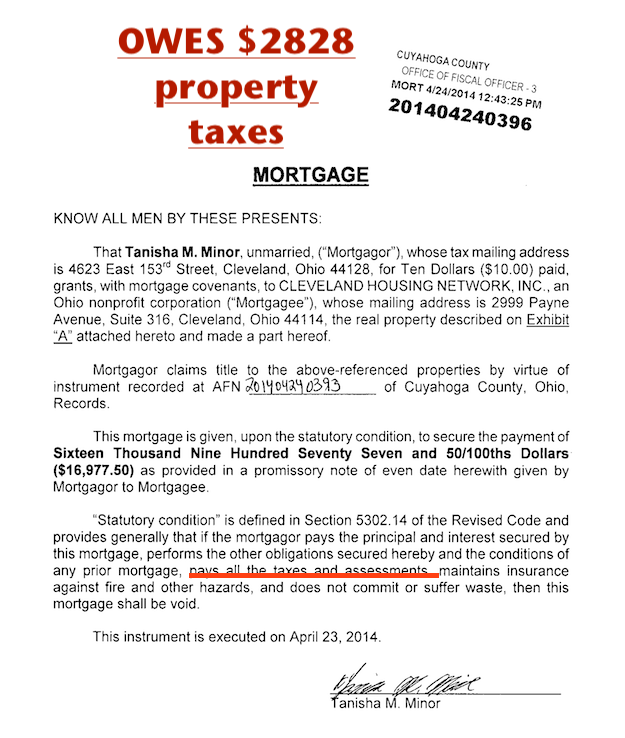 Your house would be on the NEXT CUYAHOGA COUNTY TAX LIEN SALE. BECAUSE YOU ARE JUST A CLEVELAND RESIDENT NOT IN THE CHN CRIME PARTNERS SPECIAL CLUB. Submitted by mabeldog on Wed, 01/30/2019 - 20:44. Here is the list of 7 MORE randomly selected "owners" who "bought" HUD homes from CHN. Who don't pay their property taxes and get away with it. THAT property was transferred on August 24, 2017 for $19,500 to NEW owners. And there was NO PROBLEM at the fiscal office with the transfer even though the outstanding balance of $8203 STILL STANDS! CHN HUD homes. The gift that keeps on giving! 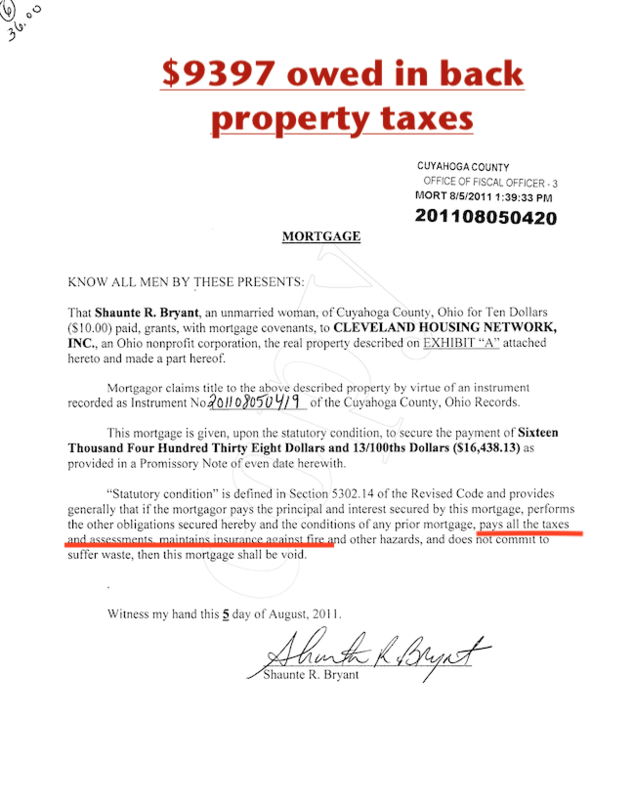 What if a law abiding tax paying Cleveland homeowner with NO CONNECTION to the World Famous Cleveland Housing Network tried to transfer a property with a HUGE OUTSTANDING PROPERTY TAX AND WATER BILL LIKE THAT??!! 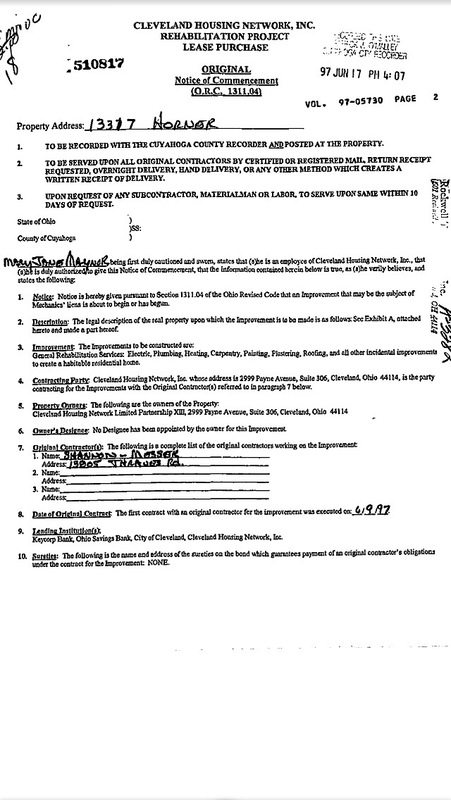 Oh and by the way one of the new owners, already residing at 1022 E 71 according to court documents, spent the day BEFORE he bought his new home, in a Cuyahoga County felony court room charged with domestic violence AND domestic violence with a PRIOR CONVICTION. Doesn't look like he's going to be spending a lot of time at his recently purchased CHN 2 family home. At least the water will be on where he 's going. CHN is now CHARGING $99 for "financial" "advice"
Submitted by mabeldog on Wed, 01/30/2019 - 20:45. Cleveland Housing Network is getting desperate. Trolling for new money making schemes, they have started an exciting new venture to raise some cash!! For the low low price of $99, the FRAMEWORK program will hook you up with "objective unbiased advice" to "make sure you're 100 percent prepared for homeownership". "Once you've passed the course, you'll receive the CERTIFICATE NEEDED" to "make your home ownership dream possible". Is this just a shady marketing ploy to unload their HUD homes? It DOES seem quite unscrupulous for the World Famous Cleveland Housing Network to CHARGE $99 when legitimate lending institutions AKA banks, like Third Federal and Dollar Bank, offer FREE classes for first time homebuyers from QUALIFIED banking professionals. And some banks offer downpayment assistance as well. REALLY though how is Cleveland Housing Network ALLOWED to charge for THIS BS? Does Cleveland Housing Network employ financial analysts or mortgage brokers or ANYONE with a license to sell financial advice? Do they advise in an unbiased objective way how to AVOID paying property taxes. A few fun facts for Sunday. In 2001 CHN had 125 cases on the Eviction Court docket. In 2010 they had 614. A significant turning point has been reached by CHN as they filed their very first eviction on August 21 under their brand NEW NAME: CHN Housing Partners. Against a tenant residing at 765 E. 88th st. Apt. 5. EVEN THOUGH that address does NOT exist on the Fiscal Office site. Hopefully they will get it all straightened out before their gala performance in Housing Court on Sept. 11 in case the magistrate notices there is no such address. Submitted by mabeldog on Wed, 01/30/2019 - 20:56. 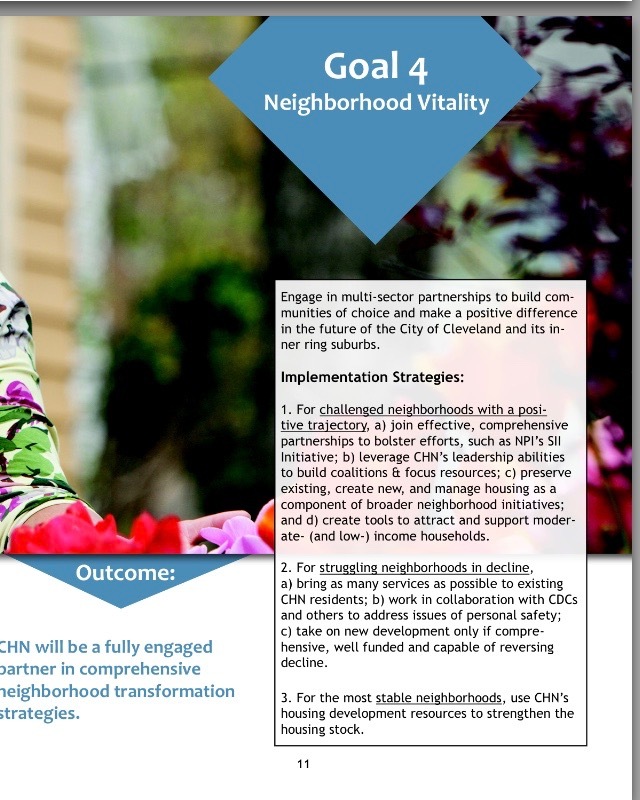 CHN is tired of property management, tired of maintenance and evictions, tired of PRETENDING they care about Cleveland's poorest residents, tired of pretending to improve Cleveland's sad East side struggling neighborhoods so they are selling off a long list of their holdings at rock bottom prices, in PRE-EXISTING CONDITION. Like cancer. They are turning to FOR PROFIT (but still hanging on to their NON PROFIT STATUS) property development with a cornucopia of hastily formed FOR PROFIT LLCs set up through the Ohio Secretary of State. With their BRASH NEW NAME: CHN HOUSING PARTNERS, they are moving on, HOPING that the regulators don't NOTICE that they are hanging on to their NON PROFIT STATUS, doing FOR PROFIT real estate development (with OUR tax dollars of course). It's a WIN WIN. No more tenants who don't pay the rent, no more drug dealing relatives moving in and destroying the HUD homes they got for free 20 years ago. They will STILL be channeling the usual federal HUD funds through OHFA to "develop" over priced poorly constructed homes on lots they get for FREE from the always benevolent Cuyahoga County Landbank in Cleveland's highest foreclosure neighborhoods! Think Rysar Properties. These homes will ALSO end up in foreclosure, but CHN Housing Partners involvement will be a distant memory, leaving the banksters AND THE TAXPAYERS holding the bag. CHN Housing Partners is just SALIVATING over the YUGE profit margins. Submitted by mabeldog on Tue, 11/14/2017 - 17:40. On November 3, 2017, the World Famous Cleveland Housing Network held a gala at the CHN Embassy at 2999 Payne Avenue and wrote off mortgages totalling $160,707! These"homeowners" "purchased" their homes FROM Cleveland Housing Network between 2010 and 2014, with "mortgages" from..... 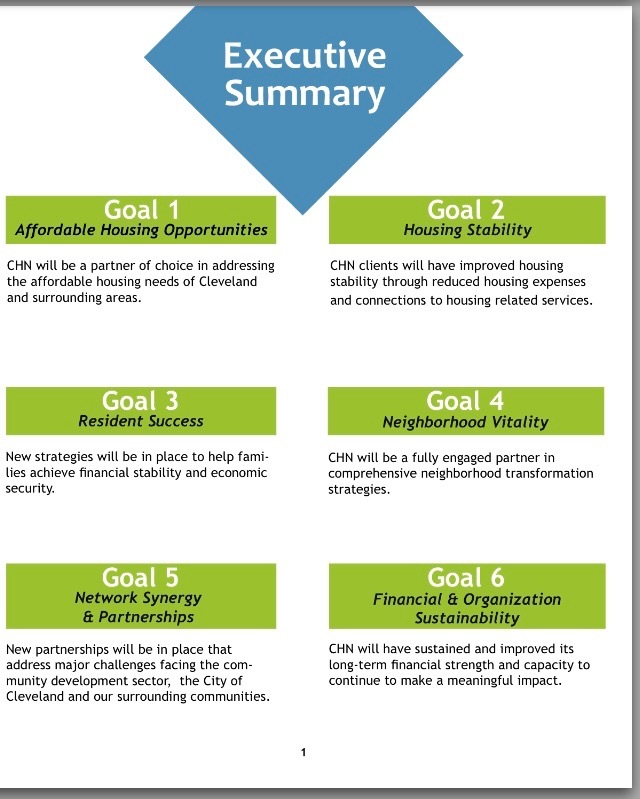 THE CLEVELAND HOUSING NETWORK..AND the Department of Community Development. ALL the money that Cleveland Housing Network uses to "finance" these "sales" comes from COMMUNITY DEVELOPMENT BLOCK GRANTS...federal funds funneled from the Department of Housing and Urban "Development" Because let's be honest. NONE of the "buyers" qualify for any kind of loan from a legitimate lending institution. And the best part is they are not required to repay these "loans". BUT they actually ARE required to be current on their property taxes, per the HUD regulations. Because HUD through Community Development slush funds/Block grants is ALL about neighborhood betterment. Well these lucky 17 "mortgage" free home "owners" owe a total of $60,389 in back property taxes and CHN Crime Partners is WELL aware of this. After all 1088 E 76, "owned" by Elizabeth Kilgore since April 2013, has been mysteriously transferred BACK to CHN Crime Partners. With $3,000 in back property taxes THAT CHN CRIME PARTNERS HAS NOT PAID. It’s NO WONDER our POTUS said, "The federal government has spent over $150 BILLION on this block grant since its inception in 1974, but the program has not demonstrated results." Of course there's wide disagreement if you are an obscenely overpaid WHITE executive at CHN Crime Partners living the high life in the suburbs, collecting and handing out Federal cash like Halloween candy. WITH ZERO ACCOUNTABILITY. Submitted by mabeldog on Thu, 05/24/2018 - 21:48. Rob Curry needs a hug. His friends at OHFA, the Enterprise Foundation, the Land Bank, the Cuyahoga County Fiscal Office and the Cleveland Department of Community Development are doing everything they can to shovel HUD funds his way for his new FOR PROFIT development projects under the bold new rebranded name, CHN Crime Partners,still as a NON profit organization. Like ALL non profit rebranding efforts, it's just a hapless attempt to put lipstick on a pig. But ever since Dr. Ben took over the main source of free, no-questions-asked HUD $$$$$$$, things just haven't been the same. The ugly spector of accountability looms large. What with his BFF and biggest crime partner EDEN being investigated all over the place for property tax fraud. And then Rob and Kathy Urban Montebank seem to be HIDING the 800 RENTAL homes THEY STILL OWN which are NOT mentioned AT ALL on their exciting new web page. One wonders why is that? Could it be because even though they got the houses FOR FREE and got federal funds to rehab them during the halcyon days of Hurricane Andrew Cuomo, they are in eviction court every single day. And then there's the constant maintenance, legal fees, and eventual board ups. Ashes to ashes slum houses back to slum houses. Rob keeps "selling" them off with pretend mortgages but he can only give away so many of them. And yet they continue to insist CHN is improving Cleveland neighborhoods. All you have to do is just pull a few choice addresses from the fiscal office page and go out and photograph the "homes"! Ok you talked me into it. Right after Memorial Day. Meanwhile our local "news" organizations, News Channel 5 and The Plain Dealer and Scene have rushed in with Fake News to prop up about Rob's crumbling empire. Without any investigative reporting whatsoever about what REALLY is going on with the 800 plus homes CHN STILL owns. For example in one heartwarming puff piece they chose ONE random tenant to highlight the glories of the lease purchase program WITHOUT MENTIONING the hundreds of homes Rob has given away through the World Famous Lease Purchase Program by writing off pretend mortgages using HUD funds. In spite of mandatory "classes" for $99 that CHN makes people take, ostensibly teaching the responsibilities of homeownership, the new owners IMMEDIATELY stop paying their property taxes. These "homeowners" carefully groomed by CHN owe the city hundreds of thousands of dollars in back taxes. I think it's time for an update of all the previously listed randomly selected tax cheats who got their houses for free under the fabulous lease purchase program. And don't even pay their property taxes???!!! WTF! There is nothing more despicable than people who get their homes FOR FREE and allow huge tax bills to run up at the expense of TAX PAYERS. See above. Submitted by mabeldog on Tue, 05/22/2018 - 13:17.